Santa Fe Audubon Society, Inc. is one of more than 40 Audubon chapters in Florida, and is chartered by the National Audubon Society and Audubon Florida. 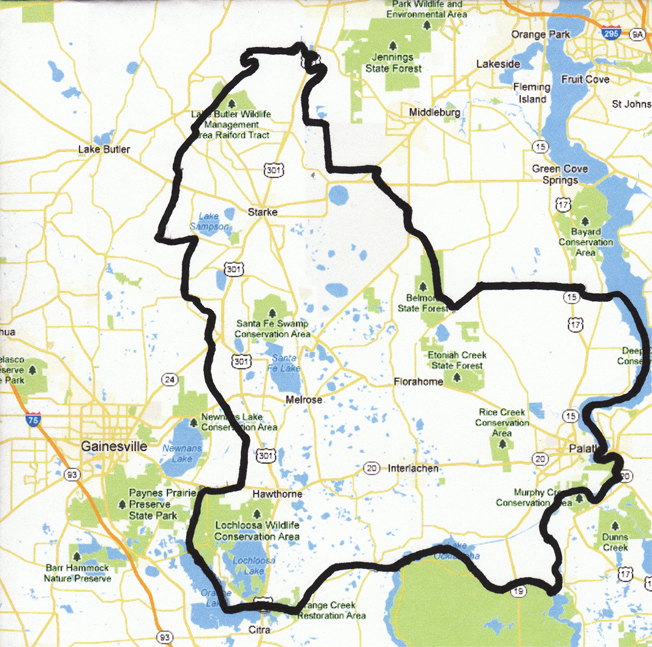 The chapter serves Putnam, Bradford, western Clay, and eastern Alachua Counties. We are a 501(c)3, tax-exempt organization. We live in a special part of Florida, where natural and agricultural lands blend with small towns to provide a peaceful, rural way of life. Santa Fe Audubon strives to offer recreational, educational, and conservation activities that reflect the values embodied in that way of life. All are welcome to our activities! We envision communities where wildlife habitats and a culture of conservation thrive. To educate people of all ages in the value and necessity of environmental stewardship through public programs, conservation actions, personal example, partnerships, and opportunities to experience the natural world.